Nothing is impossible, if you can dream it you can do it. Mountain guide school. With the year so close to drawing to an end, we cannot help but reflecting on the past year and the wonderful people we got to meet. We watched them struggle, grow and eventually fly off with their wings wide spread, full of new dreams and possibilities. We've journeyed ourselves, and all grown as people. 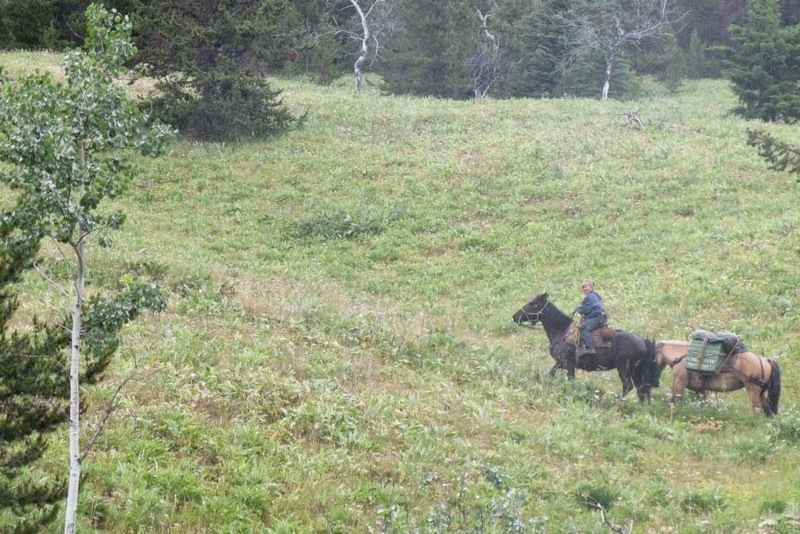 We've had journeys around the ranch too, into alpine meadows and ridden along the tops of many a huge mountain. 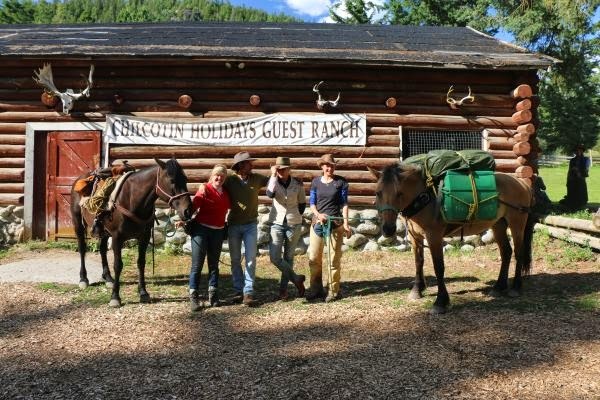 Guide school has produced many successful graduates this year, and we are excited to see them in action for the next mountain guide school on horseback. 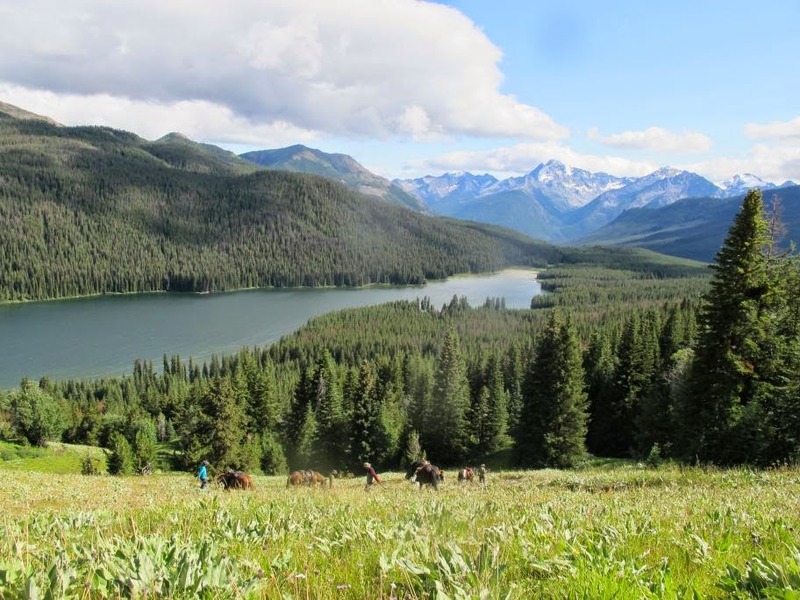 She had stayed with us on an internship for 4 months the year before and after returning home for a while decided to come back to see what the summer season looks like in the South Chilcotin Mountains. 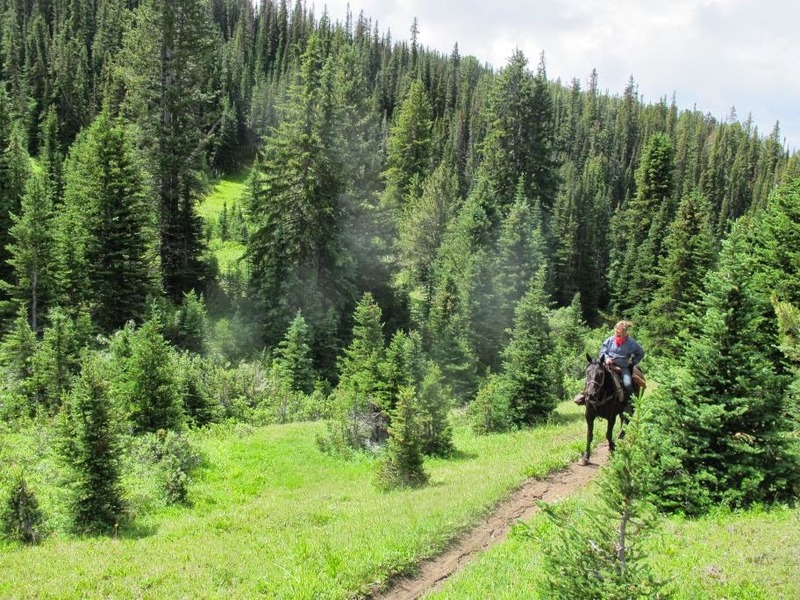 In July she took a one week mountain guide school on horseback, which made her a certified guide and opened up the door to a whole new world of possibilities for her. She shared her story with us and we now want to share it with you. "It was July and a lot was happening at the time. So pretty much right after the mountain guide school on the horses was over I got to go out on pack trips on a regular basis as an assistant guide. Broadening my horizons along the way and learning something new each time. Nothing is like being up in the mountains and I can never describe it well enough in words. 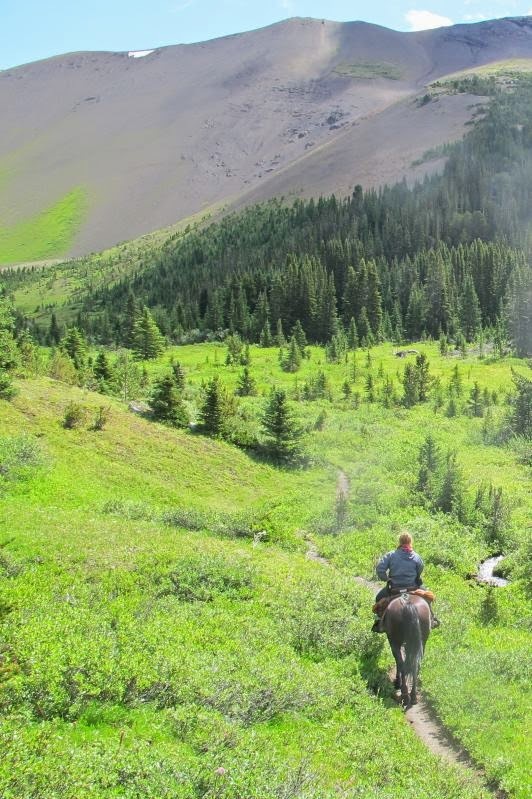 Climbing mountain ridges on a horse is among the best things I have ever done. During this time I got to practice taking more responsibility, working on my leadership skills and to take charge, which was just what I liked and wanted to do. How can you receive a better training than that, while being out in the stunning wilderness of British Columbia all the time or on the side of a mountain? Guide school gives you that opportunity. In between some of our pack trips I got the opportunity to work on my leadership skills. I was put into the role of the outside manager. This was challenging in many ways, the biggest challenge being the management of a team of about six people, who all came from different cultural backgrounds. It was a valuable experience for me to be sure and something I want to keep working on in the future. With the advancing fall season our hunt season came up. To assist on hunting trips had been a goal of mine even before I came here. I had not counted on actually getting to assist with the guided pack trips before, but now it was all possible and I found myself scheduled for my first camp based hunt trip up in the alpine meadows. I know that going hunting is the ultimate nature experience, because you have to act and think like an animal in order to be able to get a chance to shoot anything. And I got to practice it all, scouting and tracking, spending hours hiking up mountains and glassing for wildlife in the valleys, climbing ridges before the sun woke up and only getting back to camp with the last light of the fading sun. All in all I got exposed to many amazing things during my second visit at the ranch - again! I already had grown a lot as a person during my first stay. When I was encountering to me totally unknown situations. Eventually realizing that my limitations were way beyond what I had thought them to be. This time around the challenges were of a different kind, but I still grew a lot. There's no doubt about that. I spend a lot of time practicing my leader-ship skills, doing more coordinating and took charge more than before. I did not realize until afterwards that I had taken a lot more responsibility than ever before. Like last time, I got to meet a bunch of amazing and inspiring people. Meeting and interacting with them has given me so much in a different way. I love seeing people grow and evolve at the ranch and I have made friends for a lifetime. Mountain guide school was my stepping stone into this fantastic opportunity and allowed me to meet all these people and I am so grateful for it. And who knows, whether we’ll meet here again some day or maybe somewhere else. Because, you know: 'Life is either a daring adventure, or nothing'. " We wish Ella all the best for her future and hope she'll find some amazing places to make good use of her guiding skills!